This the first project of our team. 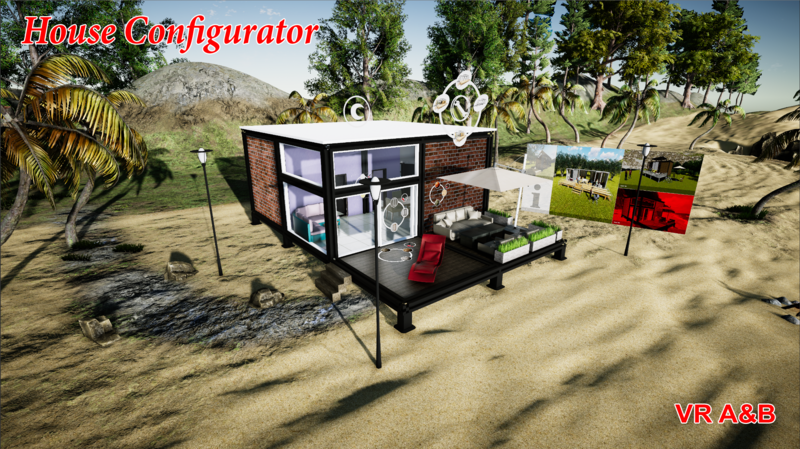 VR A&B House Configurator is a beta version of a VR Configurator for houses, which gives the user the unique opportunity to take a look, to change the interior and exterior and to have fun in an environment close to the reality. Changing the different scenes combined with the sounds of the nature, for example from day to night recreates the magical and fascinating atmosphere. In future updates there will be fun houses inspired from popular movies, history and houses which will show the characteristics of different societies and nations. 2.Change between day and night scene. In the next update we will add a birdseye view from a hot air balloon. The app can be downloaded from our site.